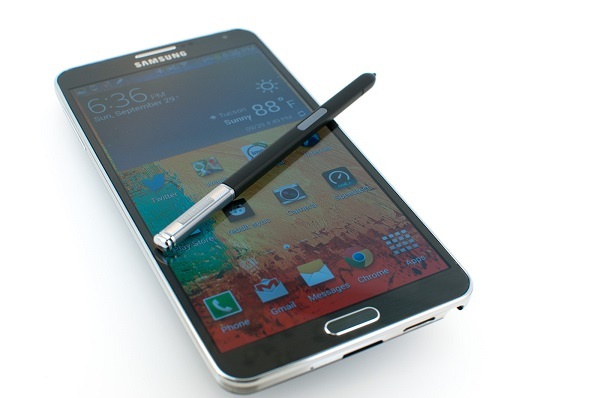 Welcome to the 66th part in our series of troubleshooting articles dedicated to the Samsung Galaxy Note 3. By now most owners of this model may have already updated the phone software to Android Lollipop. The update brings several new features and enhancements for this phone bringing fresh life to it. Unfortunately, there are also instances when issues appear right after the update. These issues are usually minor in nature and can easily be resolved which we will be discussing in this post. Problem: So after downloading lolliopop my phone will not text and I cannot call or receive calls. it shows circle with a line through the middle. Instead of bars with 4g on the top. Help, i put a new sim card in and have reset the phone but this still has not helped. Solution: A circle with a line in the middle means that the phone does not have any signal. Try checking the network mode setting and make sure that it is set to LTE/ WCDMA/ GSM (auto connect). If the network mode settings are good then the next step is to check the SIM card. Take the SIM out of your phone and inspect it for any signs of damage. You should also check the SIM card holder of the phone if there are any dirt or lint present as this may interfere with the connection. If you spot any then clean it with a toothpick or cotton bud dipped in alcohol. Reinsert the SIM card and turn on your phone. If the issue still persists try to contact your network provider and ask if there are any network related issues in your area. If the issue persists you should perform a factory reset using the hardware keys. Make sure to back up your phone data before proceeding. Problem: I’ve have a Samsung Note 3, sitting here reading all you comments on issues with the touch screen. But in my opinion they may or may not apply to my problem. My phone has never been dropped or had water damage. The left side of my screen works perfectly with your finger but the right side will not. But if I use my pen the right side works perfectly. Any suggestions for the cause of this, I’ve checked the sensitivity but I haven’t done any type of reset. Just rebooted an taken the battery out. Thanks for any helpful info on this matter. Solution: Try checking if this issue is caused by an app installed in your phone by starting the phone in Safe Mode. If the problem does not occur in this mode then it may be caused by a third party app. Find out what the app is and uninstall it. If however the right side of the touch screen is still not responding then this may already be a digitizer issue. Bring your phone to an authorized service center and have it checked. You may need to replace your phone digitizer. Problem: Okay I have a Verizon note 3 and I hardly get service anywhere I mean if I go out to town I do but I don’t were I live but I have a iPhone and I get great service here but not with my galaxy I can’t even send a text message. Solution: Is the iPhone also on the Verizon network? If so, then the Note 3 should be getting the same network signal strength. You will need to check if this is a software related issue by backing up your phone data then performing a factory reset. If the issue remains after the factory reset then this may already be a hardware related problem. Bring your phone to an authorized service center for checking. Problem: Hi Guys, I’ve updated (stupid me) my note 3 to the latest Lollipop Android O.S. Now, I’m in the middle of the restore since I had all the problems you mention in the web page. Now, the thing is that the phone is always warmer than previously, and I don’t know which system to shut off to test. Any idea? It is common to be hot almost all the time? Finally, the battery is not lasting as long as with Kit Kat. It is normal too? Thanks a lot and best regards. Solution: Try to check the features that are turned on in your phone first. This includes Wi-Fi, mobile data, GPS, NFC, Bluetooth, etc. turn off any service that you are not using. If you have completed the factory reset and your phone still heats up then there may be some activity going on. One likely cause is the auto sync feature. Your phone may still be syncing data which makes it heat up. Let it finish what it is doing then check on it again at a later time. Solution: Try to check first if this is a software glitch by performing a factory reset. Make sure that you back up your phone data first before proceeding. If the problem still persists then there may be something wrong with the phone LED light. Have it checked at an authorized service center. Solution: Try wiping the cache partition of your phone and see if this resolves the issue. If the issue remains then perform a factory reset. Be sure to back up your phone data before proceeding. Solution: If your phone can connect to other wireless networks but has a problem connecting with your home wireless network then the issue may be with your wireless router. Try deleting your home network from your phone then connect to it again. If the problem still persists then access your router administrator page and check on its wireless security settings. Make sure that it is set to WPA and try switching between TKIP and AES encryption methods to check which works best with your phone. Click on the Enable Wireless Security checkbox. Enter your pre-shared key. This key must match the key that is used by each wireless client computer associated to your router. Choose a key format. This can be hexadecimal digits (0-9, A-F) or ASCII characters (any key on the keyboard). WPA Group Rekey Interval specifies how often the key “rotates” or changes. WPA Encryption allows you to select 1 of 2 possible encryption methods (TKIP and AES) – choose one that your wireless clients supports. Click NEXT, then Save and Restart to apply the changes. If the issue persists then check if your router has a firmware update available and update it. Problem: I have note 3 on verizon wireless. Recently my phone has lost complete service. There’s just a circle with a line in it. I cant make phone calls, send a text, or even access the internet. I have tried to turn on/off mobile data. I’ve tried taking out the Sim card. & even tried a factory reset. I was even on the phone with verizons technical support for 2 hours. & they weren’t able to fix my problem. So here I am stuck with a phone I can’t get to work. Is there anyway youu can fix it? If youu need more information. Youu can certainly email me back. Solution: This is the second issue that we have received regarding Verizon branded Note 3 devices losing network signal after the Lollipop update. The first thing you should do is to check make sure that the phone network mode setting is set to LTE/ WCDMA/ GSM (auto connect). If you have another SIM card available then try inserting it in your phone. If the issue persists then you should try to do an emergency firmware recovery. You will need the latest version of Kies installed in your computer to do this. Click Tools > Emergency firmware recovery. Select your device from the list. Your device will be in the list only if it requires a recovery. Switch your device to recovery mode using the steps displayed in Kies. If the no signal issue still persists then you may have to reflash the phone firmware. Bring your phone to an authorized service center to have this procedure done. Problem: Hi, I am facing a serious battery draining issue with my note 3.It all started when I update the os of my phone from kitkat to lollipop. Of course the lollipop is cool with lot of features under its sleeve but everything happens at the cost of draining the battery very quickly. Earlier in the kitkat days everything was going fine. I had no issue with the battery which would last more than a day of moderate use. But now even moderate use will drain the battery in a day or sometimes even less. I dont wish to downgrade to kitkat. All I need is a solution to enjoy lollipop without unusual battery draining. Step by step instruction is welcome. Hoping loads of help from you, Mr. Droidguy!!! Solution: Since the battery drain issue occurred after you updated your phone software then a factory reset is highly recommended in this scenario. Make sure to back up your phone data before proceeding. Once your phone fully restarts make sure to turn off any services that you are not using such as Bluetooth, GPS, NFC, mobile data, etc. Problem: hi guy, i have a t-mobile note 3, yesterday tried to connect to Kies on my pc (after updated to the latest Kies) but i cant. also my pc cannot recognize note 3 as a drive. any comments will be helpful. thanks. Solution: Try using a different USB cord when connecting your phone to the computer. In most cases it is usually the USB cord that causes the issue. Make sure that the phone connects directly to the computer USB port and not through a USB hub. If the issue persists then restart both your phone and computer. Try to connect your phone to the different USB ports in your computer and see if it works. You should also try to use a different computer with the latest version of Kies running and see if your phone can connect to it. Problem: I’m using Samsung galaxy Note 3, but all of a sudden, the applications keep on opening on the screen such that i cannot even operate the phone. i don’t know what is actually the cause. Any help will be highly appreciated. thanks. Solution: You should first check if this issue is caused by a third party app installed in your phone. To do this you should start your phone in Safe Mode. If the problem does not occur in this mode then it’s likely caused by an app. Find out what app is causing this and uninstall it. To do this you will have to uninstall the third party apps one at a time and check if the problem still persists after each uninstall. If the problem still occurs even in Safe Mode then you should perform a factory reset. Make sure to back up your phone data before proceeding. If after the factory reset the problem still persists then this may already be a hardware related issue. You should bring your phone to an authorized service center for checking. Solution: A missing IMEI and baseband in your phone is usually caused by a corrupted IMEI folder. One best way to resolve this is to perform a factory reset before installing a new custom ROM. You should also try to flash different modems on your phone one at a time until the problem gets resolved. If the problem persists then you should have this done professionally at an authorized service center. Problem: Hi there, Just wanted to let you guys know about a Lollipop issue that ruined one of my favourite features of the Note 3: S Note. Up until two days ago, this was probably my favourite and most used app. Handwriting and drawing rendered flawlessly. Since the update, however, when making rapid pen strokes, the app fails to recognize strokes, causing words to be left half-written. This is especially apparent when taking fast handwritten notes. Say I write the word ‘taken’ as quickly as I normally would, it might capture the ‘t’, part of the ‘k’, and the ‘n’. It’s made all the more dissapointing because this is a core feature of the phone. The handwriting rendering is literally better when done in the Evernote app as opposed to the software that comes pre-bundled with the phone. Anyway, just thought I would let you guys know. If you happen to mention this issue in an article, would you mind please sending me the link? Solution: If the S Note app does not perform the way it used to then you should try wiping the cache partition of your phone. If the app still fails to recognize rapid pen strokes then you should consider doing a factory reset. Make sure to back up your data before proceeding. Problem: Hi, I would greatly appreciate any information you can provide on my problem. I have a note three for over a year with no FB issues. This morning I noticed that my newsfeed and notifications would not load or refresh. I was able to post to my profile and checked on my laptop and the photos load. I tired restarting, taking out the battery and logging out of FB and logging in. After logging back in my newsfeed and notification is now blank with and error message saying it can not load. Thank you. Solution: First make sure that your phone is connected to a stable Internet connection. Try to switch between Wi-Fi and mobile data and see if the problem occurs in both connection modes. Try clearing the cache and data of the Facebook app in your phone. If the problem still persists then uninstall the Facebook app and install a fresh version from the Google Play Store. Problem: Hi, Thanks for providing this service. Never thought I’d needed it, but already read it just in case something happened. Here is my issues: I received my lollipop update a few days ago. However, ever since I’ve received it, my notifications for text, emails and etc are not displayed at the top of the screen. The LED notification lights do blink, notifying me of a text, email or whatever else but when I turn on my display, nothing is seen at the top of the task bar. Only after I unlock my phone (enter PIN) is when these notifications actually appear. Seems a bit strange. Another issue I am having is with landscape mode. Yes, I made sure auto-rotation is enabled and it was working 100% fine before the update. So I don’t believe it is hardware related. It does not work for anything. Whether it be gallery, chrome or YouTube. Not sure where to go from here. Hopefully you guys have a suggestion or advice. Solution: This problem may be caused by a glitch in the phone software. You should first try to wipe the cache partition of your phone and see if this resolves the issue. If the problem still occurs then consider doing a factory reset. Make sure to back up your phone data before proceeding. Problem: Hello! I updated my note 3 to 5.0 lollipop a week ago. My phone became very slow and some apps kept crashing while I was using them. Yesterday when I was listening to music on the phone the music always stopped or started again. I got annoyed and I decided to restart the phone. After I restarted it my play store stopped working and my apps disappeared (almost all of them) when I receive a message I can’t open it because it crashes. S voice stopped talking I mean like for example if I say what’s the weather like in Sofia it only shows the map but doesn’t make any sound. I am looking for solutions….. I’m from Bulgaria but I couldn’t find any information about the problem in BG forums and I found you…. Can you help me? I’m worried about my phone. Does Samsung know about the problem on note 3 series? Is Samsung going to make an update or should I look for help from someone? Solution: These issues may be caused by data of the old software version which is still present in your phone. Normally, this would have been removed during the update process however there are instances where they remain in the phone. A factory reset is the best way to clear you phone of this old data. Just make sure that you back up your data before proceeding. From the All tab, tap the Google app. Do you have any other solutions you can offer me? Thanks. Solution: You should check first if your phone is connected to a stable Internet connection. Try switching between your Wi-Fi and mobile data connection and test Google search. If it works in either Wi-Fi or mobile data then this may just be a connection related issue. You should also wipe the cache partition of your phone if the problem persists. Problem: I have a Galaxy Note 3 running Kitkat and the only problem I have with the phone is the signal strength of the wifi.. there’s never been an issue connecting and staying connected but it’s always been poor for how far from the router you could go.. from day 1 of running Kitkat you could only go as far as 1 room away before you lost signal.. but recently you can’t even get more than 5 feet away before the signal is lost .. its the same with every router and I’ve tried clearing cache and deleting the wifi settings and factory restoring the phone but nothing helps.. could this be a hardware issue that can be sorted? I am fairly technically minded so if any internal modifications are needed there shouldn’t be an issue.. Thanks. Solution: If this issue occurs on every router your phone is connected to and you have already performed a factory reset then it may already be a hardware related problem. Unfortunately, it is difficult to tell which part of the hardware is failing unless it is opened and checked. I suggest you bring your phone to an authorized service center for checking. Would you please tell me how to fix these issues. It could probably a great help. Hearing from your response soon. Thank you so much in advance. Solution: If you are not keen on doing a factory reset on your phone then the next best thing to do is to wipe the cache partition of your phone. If your phone still has issues then you should consider performing a factory reset. Make sure to back up your phone data first. Solution: Several owners of this phone who are experiencing the same issue say that wiping the cache partition of the phone usually works. Problem: After upgrade to lollypop version and one more update, the photos taken with phone are displayed as upside down and in landscape mode. Also the zoom function is not working. It says zoom cannot work in this mode. Kindly help. Solution: When taking a photo make sure that the shutter button is on the right side of the screen when in landscape mode. This will ensure that your photos will not be upside down. Regarding the zoom issue make sure that your home page display is not set to easy mode. Go to settings > home screen > change home screen mode from Easy Mode to Standard Mode. Problem: Hello Droid Guy, I have a issue that has been driving me crazy for a few weeks now. Actually before the update rolled out through AT&T. I have been wanting embrace this new NFC technology and the “tap and pay” feature in particular. First problem was my nerves. I wasn’t too comfortable putting my financial info out there like that. But some quick research and I found that it’s probably safer than using your card in stores. Second problem was Soft Card and the fact that my bank did not approve its use unless you use apple pay. Which I found to be a crock. But anyway… Third problem. I’m trying to use Google wallet. And for some reason it will not work with the Note 3. I’ve called Google several times and also have spoke with Samsung. And I can’t get a real answer. If it’s not gonna work, that’s fine. But I want to know why. All other NFC functions work on this handset. (i.e. wifi direct, file transfers and such) Why the heck wouldn’t tap and pay? It’s driving me crazy because no one seems to know. Did mention that it works fine with the Note 2 and 4? (allegedly) There is a list of devices that this feature works with that I’ve found on Google. I was hoping the update from 4.4.4 to 5.0 would fix or patch this issue, but it did not. Maybe you can help me and all the other Note 3 users out there that want to use this cool new technology. Thanks in advance! Solution: Although the Note 3 supports Google Wallet it does not support the Tap to Pay functionality. The reason behind this is due to the NFC chip being used. It appears that the NFC chip of the Note 3 does not support Host Card Emulation functionality, which is a feature needed by Google Wallet to function with Tap to Pay. This means that the issue is caused due to Google’s limited support on the NFC chip. #Galaxy Note 3 Wifi and Mobile hotspot not working or not turn on. Please Help me? I haven’t done anything with upgrading my Note 3 software recently but it has been doing a few strange things. I have it set for auto updates. Firstly it flashes in my face when I turn it on – the same intensity as if I were taking a photo which is very annoying, even when the flash is switched off, (which shouldn’t matter anyway). Other times when flipping between text messages and Facebook it suddenly stops working (with message to the effect that something has stopped working – can’t remember exact wording) but then after a few seconds seems ok when I try again. Both very annoying! Do you have any solutions please? I use Google Wallet Tap&Pay on Sprint’s Note3 all the time, so I guess it works on some models? Hi. Thank You for the great advice on this forum! Note 3 updated to Lollipop and Lync 2013 will not connect anymore. I have factory reset to no avail. Is there a cure out there yet? Thank You. There are so many problems and glitches with the Note 3 that you have 66 articles for it!? Feels like an Onion article. I’ll be sure not to buy this phone if this is seriously the amount of bugs there are.